The Research Centre focuses on the study of the life of Marc Chagall (1887-1985), his graphic work and stained glass windows. 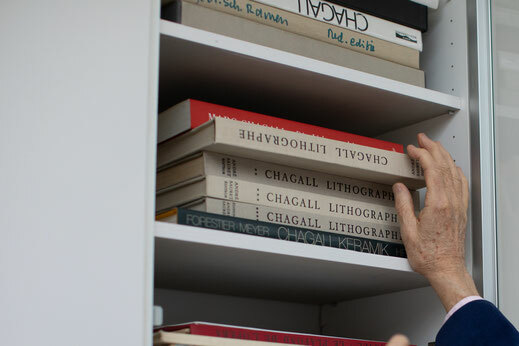 The research is made possible by the WUYT Chagall collection, which consists of a large library, many documents and thousands of original graphics. The Research Centre can provide you with detailed information about a certain lithograph, etching, woodcut, heliogravure or pochoir. 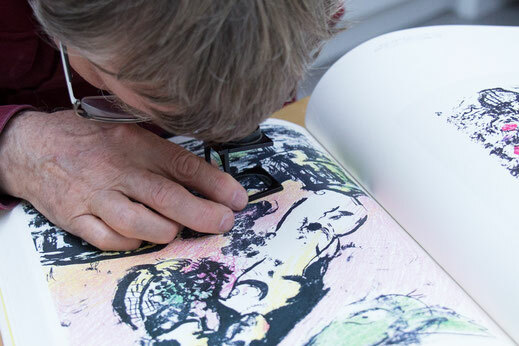 The Research Centre pays great attention to the authenticity problems in Chagall lithographs, etchings and woodcuts. Most of the forgeries in Chagall's oeuvre relate to works in these graphic techniques. But few people realize that there are hundreds of thousands of unauthorized works of Chagall in circulation. 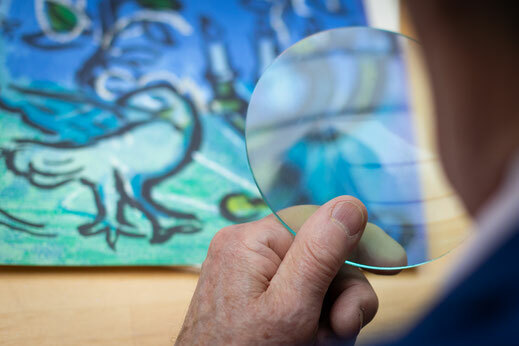 This involves thousands, since there are more fakes in circulation than Chagall authorized copies. We specialize in delivering Certificates of Authenticity. A declaration of authenticity assures both the buyer and the artist (in our case Marc Chagall and sometimes Charles Sorlier) of the authenticity of a work of art. Chagall was always intensely involved in publishing his graphic work, he was involved in printing, book production, circulation and, where applicable, numbering and signing. Together with the year of issue and the title of the work, these data form the basis of our Certificate of Authenticity. Click here if you want to know more about the Certificate of Authenticity. zo’n publicatie op de website te plaatsen onder de titel: PAPER OF THE MONTH. Klik hier voor het meest recente artikel.